What is the Employment Outlook for Homeland Security Jobs? The employment outlook for homeland security jobs is relatively strong because this department plays the most active role in protecting the interests of the country and its citizens. Keep reading to learn about popular job positions and locations for homeland security personnel. The Department of Homeland Security was created after the events of September 11, 2001. The main responsibility of homeland security professionals is to protect the country from both foreign and domestic attacks and disasters. The employment outlook for homeland security jobs is excellent because there is a growing demand for qualified professionals in this field. While job availability and career stability depends on federal funding and the DHS budget, security and intelligence needs are on the rise. 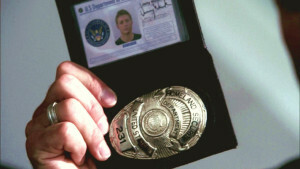 Many homeland security jobs accept a variety of degree subjects, such as criminal justice, public administration and security and emergency management. Where Do Homeland Security Personnel Work? The majority of homeland security personnel work in the public sector for a government agency. The Department of Homeland Security (DHS) is comprised of many familiar agencies, such as the Secret Service, Coast Guard and Customs and Border Protection (CBP). There are also lesser familiar operational components, such as the Office of Policy, Office of Health Affairs and the Office of Intelligence and Analysis. Most of the personnel in these organizations work at the local, state or federal level to implement and maintain public and national safety. Some homeland security personnel work for private organizations that deals with emergency response, law enforcement and information technology. What are the Most Popular Positions? According to the DHS website, there are always certain careers in high demand. This includes legal, procurement, cyber-security and Federal Protective Service professionals. Acquisition specialists are responsible for billions of dollars of goods and services that support DHS’s various missions. Acquisition professionals work in many different areas, such as the TSA, CBP and Office of Procurement Operations. Federal Protective Service professionals provide security support at federal facilities and perform law enforcement duties. Cybersecurity professionals are tasked with things like strategic analysis, systems engineering and cyber incident response. What is the Homeland Security Hiring Process Like? The federal hiring process is somewhat different from the private sector. The majority of positions are competitive service, which means that they are subject to congressional civil service laws, but there are also limited excepted service positions that are exempt from the regular rules. Competitive service positions require that all potential employees go through an identical competitive hiring and examination process. This may include an exam, interview or formal evaluation of the candidate’s experience and education. DHS posts their positions through the website called USAJOBS that lists almost every federal job opening. Almost all jobs are open to the public, but certain jobs are reserved for current or former federal employees. The employment outlook for homeland security jobs is expected to stay strong because local and national security needs will continue to grow.